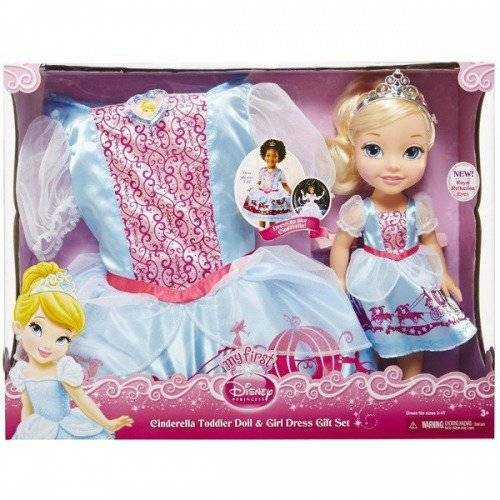 Cindrella Disney Princess doll and toddler dress Gift Set. The Wishes of the little princess can become real with the Disney Princess Toddler Dolls. Each doll has a special dress and a tiara that shimmers with beautiful jewels. Dolls with royal reflection or with shiny eyes in which you can see the glow of dreams about the next adventures. The doll has a tiara, removable shoes and a dress. Swiveling limbs and head. The doll's height is 36 cm.